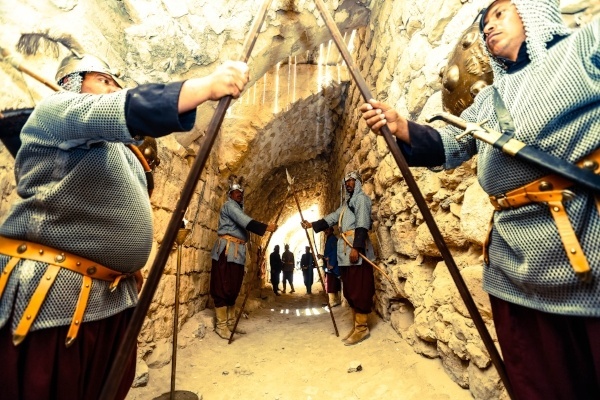 The Jordan Heritage Revival Company (JHRC) was established in 2010 as part of the King Abduallah II Fund for Development (KAFD), and the organization was created to revive Jordan’s historical heritage through live re-enactments. However, in 2016 the JHRC expanded into newer territory by creating the Montréal Hotel in Shobak. The hotel is located adjacent to the Montréal Castle, which was once a Crusader castle and which is also a popular tourist destination. The hotel offers and array of outdoor experiences that aim to highlight the rich history and the stunning landscapes that surround this mountainous region. The hotel and the experiences that they offer also benefit the community of Shobak greatly, as the majority of the staff are retired veterans (it is important to note that soldiers are generally forced into retirement at the age of 36 due to high unemployment rates). The hotel has a capacity for 45 guests in 20 rooms. Shobak is a historically important area, as the Montréal Castle was the site of an important battle between the Crusaders and Saladin in the 12th century AD. As a result, the Montréal hotel offers a unique live re-enactment of the battle on certain days and frequent tours of the castle and the surroundings. They aim to showcase the history and heritage to international tourist and Jordanians alike. Guests will uncover what life was like during the 12th century and how the city progressed from there. JHRC also provides authentic local experiences that reveal life on the edge of the desert. JHRC works with the local community of Shobak to provide activities, such as hiking, cycling, home cooked meals, and cooking classes. The hotel also organizes trips to a number of beautiful vantage points, local villages, farms, and local associations to take photographs, buy local products, and obtain a better understanding of the local economy. Some of the more strenuous activities are age dependent and do require a moderate level of fitness. However, there are many family activities that cater to all. Al Shobak city suffers from the migration of young people to the capital Amman to search for jobs, and suffers from “brain drain,” the migration of scientific minds to other countries. Most of the residents in Al Shobak are retired veterans trying to survive on a pension that does not cover all life expenditures. It is a particular problem that without a University in the city most of their children must attend schools far away from home, which incurs additional costs to tuition like food, rent, and transportation. Shobak also has a large community of military veterans. The situation of military veterans is quite unique as there is a forced retirement age at 36 to make room for new recruits. After retirement veterans receive a pension which is not enough to support a family and most must seek additional sources of income. The JHRC and the Montréal hotel employ a great number of military veterans in order to provide them with a fair and steady source of income. The Montréal hotel broke-even in 2017 due to an increase in tourism, and as a result has plans to hire more military veterans from the area. The hotel also sources as much as it can from the local communities so as to facilitate the growth of the local economy. In the past year tourism to the area has increase 68%. 8 employees in Montréal hotel from the local community and they plan to hire in 2018. 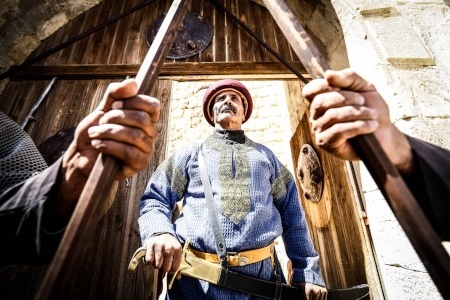 14 employees in Al Shobak Castle from the local community. All purchases of the hotel from the local market about 2000 JD each month. After the forced retirement age of 36 Jordanian veterans must leave the military and find new employment opportunities. The military offers a pension, however, it is quite small compared to the cost of living. Khaled retired from the military in 2012 and found that the pension was not big enough to support his family of 6. He started working in Maan, Aqaba, and Petra however with a minimum commute of 1-2 hours he had very little time for his family and his farm in Shobak. Many members of the Shobak community have faced the same problem, they are highly skilled workers with a lot of experience however there are little employment opportunities. When the Montréal Hotel was established in Shobak in 2016 Khaled jumped at the opportunity to work within his own community. He began working at the hotel in maintenance and housekeeping. He quickly rose through the ranks and now helps to train new employees. He is currently undergoing training to be head chef and is looking forward to the years ahead at the Montréal Hotel. Thanks to his position he is able to build on his skills in the hospitality industry while providing for his family. The economic activity in Shobak is somewhat weak because of the rural nature of the area and because of the small population in relation to its large area and geographical distribution.  Therefore, most of the population is looking for jobs in the other governorates such as Ma'an, Tafila, Aqaba, also there are no government investments in the city. The people Have difficulty finding additional sources of income to cover their needs, because the retirement pay is between 330-360 dinars (about $500). This amount is insufficient to cover the needs of a family of six. For example, our colleague Khaled gets a pension of $355 dinars and 320 dinars from the hotel in addition to almost 50 dinars instead of overtime work, and this salary helped him to support his children in the university study in the province of Aqaba. The average salary of hotel staff is approximately 340 JD. The average salary of Castle employees is approximately JD 290. The Employees receive benefits from working in the company, including excellent health insurance and registration in social security, which can later help them to get another pension, in addition to the high loans that can be taken from banks because of new source of income in addition to military pension, many of them Taking loans from banks for use in building a house or even opening a grocery store in the evening or to start any small project for his family.